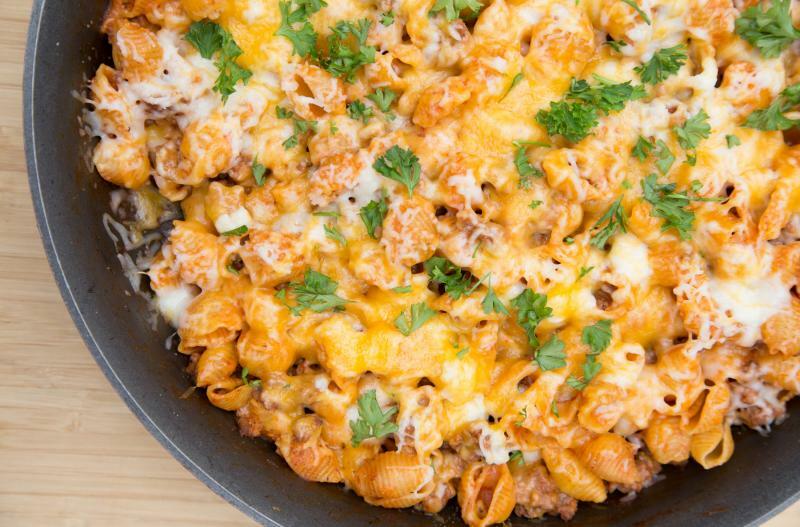 This skillet meal is sure to be a new family favorite! Open the cans of tomato sauce. In a large skillet, brown the ground beef with the minced onion and garlic powder. Drain and return to skillet. Stir in the tomato sauce and Italian seasoning, and bring to bubbling. Then pour in the pasta and the beef stock. Press the pasta into the beef stock, cover and simmer over medium low heat for 10 minutes, or until pasta is softened. Remove from heat immediately to keep pasta from overcooking. Season with salt and pepper to taste. Sprinkle shredded cheese over the beef-pasta mixture. 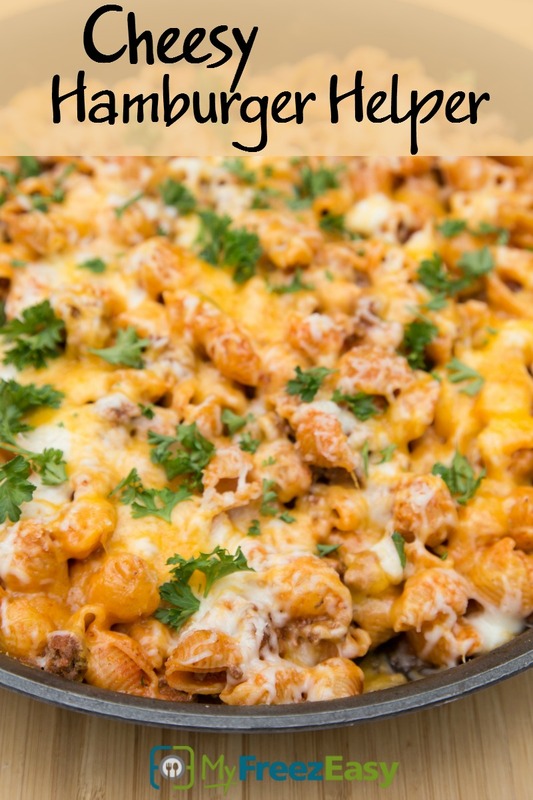 Serve Cheesy Hamburger Helper with veggies. Put baggie in the freezer and freeze up to 6 months in fridge freezer or 12 months in a deep freezer. Thaw in the fridge overnight, or a warm bowl of water for about 20 minutes, before transferring to a large skillet and reheating. Once bubbling, add the pasta and beef stock, cover and simmer for 10 minutes, or until pasta is cooked. Top with shredded cheese before serving. Thaw and reheat contents of baggie in large skillet. Once warmed, add 12 oz. pasta and 2 cups beef stock, cover and simmer for 10 minutes, or until pasta is cooked. Top with shredded cheese.